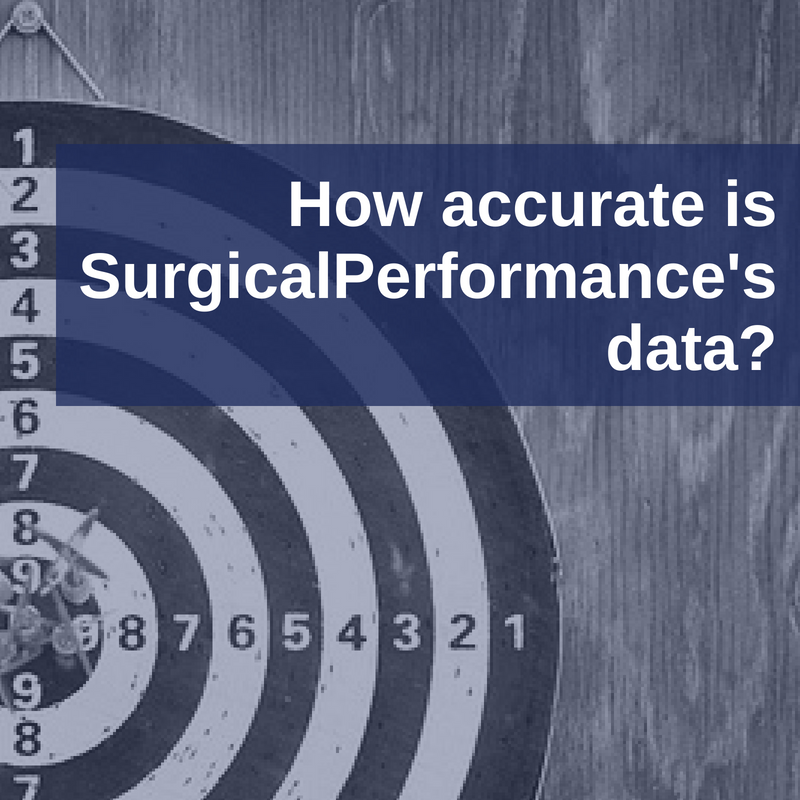 Sometimes we get asked how accurate the data collected in SurgicalPerformance is. We are comfortable with that question given that the more than 1000 surgeons subscribed to SurgicalPerformance have recorded more than 100,000 cases into our databases. No regulatory body checks on the data quality. SurgicalPerformance is driven by our users desire to have their own data available at all times for reflection and feedback. By contrast, the primary purpose of a registry is to collect data to inform policy or for professional or government agencies to monitor surgical quality. SurgicalPerformance is the data collection platform of choice in Project Imagine, a clinical research trial to reduce the number of abdominal hysterectomies in favour of less invasive surgical approaches. As part of this trial, we compared the quality of data as they were entered by our surgeons and compared the data accuracy by cross checking through dedicated clinical trial personnel. We are very pleased to report that the inaccuracy of data entry is only around 5%, which is very acceptable. In cases of data inaccuracy, typically, one or more morbidities (e.g., GORD) was not recorded. This demonstrates that our users take part in SurgicalPerformance voluntarily because it addresses a personal need. These users have the greatest interest that their data quality is undisputed. If they would enter only favourable and selected data, they would be the only ones to know.